India Flower Mall is a leading online Florists in India. We help our customers connect with their loved ones on their special occasion with their loved ones in India. 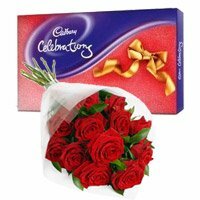 If you are looking for sending flowers to India you are at the right place. We deliver fresh flowers in India. Our flowers are procured from flower gardens all across India and they are delivered at the door step of the recipient same day. If you are looking for same day flower delivery in India, you can place order with India Flower Mall. India Flower Mall delivers fresh red roses, gerberas, carnations, lilies and orchids. Place your order now to send flowers to India and convey your best wishes for your loved ones now. 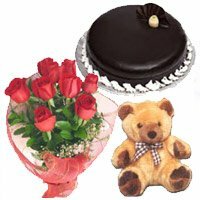 India Flower Mall has expertise in online gifts delivery in India. We deliver gifts in India same day. You can convey your best wishes on Birthday, Anniversary, Wedding, Valentine's Day, Father's Day, Mother's Day. Diwali, Rakhi, Christmas and New Year by placing order to send gifts to India. You can place order to send gifts to India from USA, UK, Australia, Singapore, New Zealand and Canada. Aggregate Rating of this Page is 4.15 Out of 5 based on Feedback from 20 Customers.